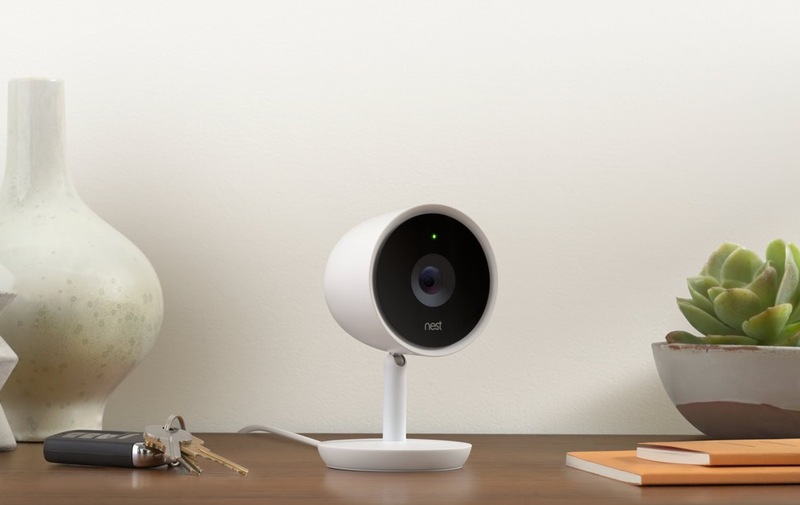 Nest announced a new indoor security camera today called Nest Cam IQ. It looks like the Nest Cam Outdoor on a stand, but Nest actually did toss in some improvements to make it one of the smartest security cameras you’ll find. For one, the Cam IQ features a 4K sensor (130° view) that Nest is using to to show you “beautifully balanced” 1080p imagery. So no, you don’t get to stream things in 4K, but thanks to HDR and that 4K sensor, you should have great footage that won’t “choke your connection” by streaming in 4K all of the time. That 4K sensor also allows the Cam IQ to zoom and track people it spots without losing quality or apply 12x zoom into specific areas while hanging onto that 1080p video. Nest calls this Supersight. This new cam is improved in speaker and microphone departments as well. It has noise suppression, echo cancellation, a louder speaker, and can distinguish between a dog bark and human voice to specific alerts. Later this year, Nest will add the ability to “easily communicate with family and pets like you’re having a conversation over the phone” too. You can pre-order Nest Cam IQ today for $299. 2-packs are also available at $100 off. The device ships in 4-5 weeks.